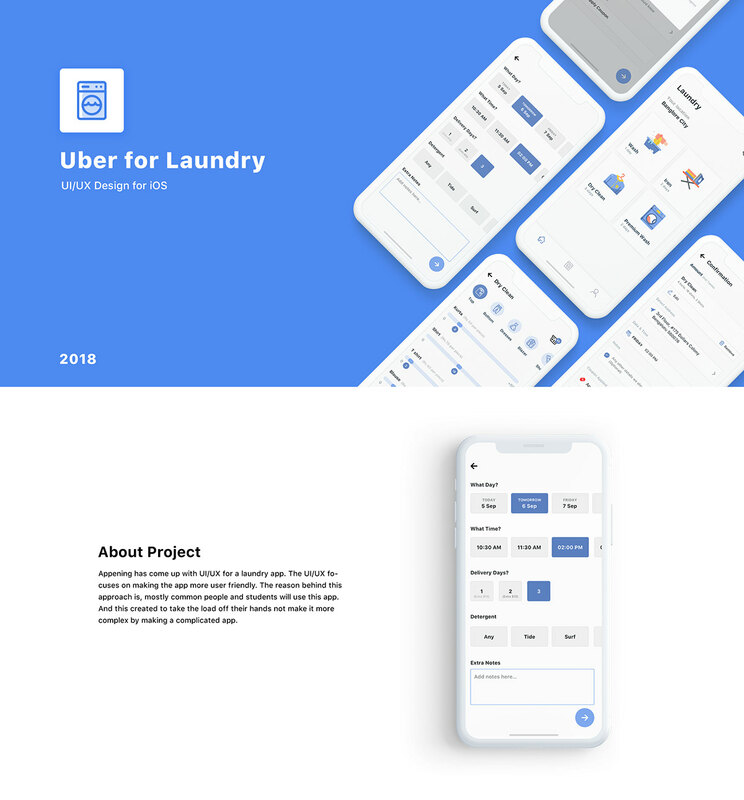 Appening has come up with UI/UX for a laundry app. The UI/UX focuses on making the app more user-friendly. The reason behind this approach is, most common people and students will use this app. And this created to take the load off their hands not make it more complex by making a complicated app. We managed to weave a story with the laundry app and influencing this to emerge as a success. Our research done for the app presented an accomplished study of the market highlighting their Visual Branding. 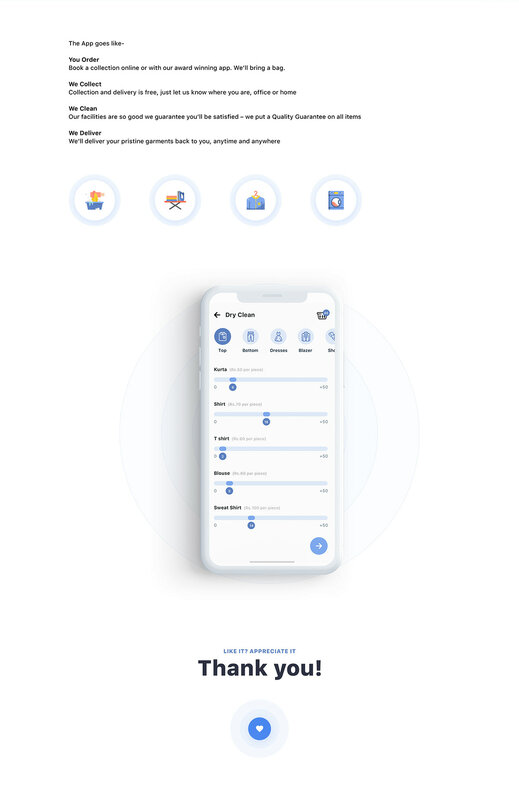 Adopting a minimalistic design approach by Appening for the app gave this product an edge. We gave this app a strong social identity to set them apart from its competitors across various social network platforms.